Salvador Ready Mix Concrete currently has two pit operations. We provide material for all types of building or landscaping projects. We can deliver to your site or you can come to our office and arrange to be loaded, or self-load your own material depending on the amount of material needed. All of our aggregates/ landscaping materials are independently tested as its being produced to maintain consistent results that meet specifications. What is the difference between bedding sand and other sands? Bedding sand is a crushed product, concrete and masonry sands are a washed product. Electrical sand is natural unwashed fine sand. What is the best gravel to use on a driveway? 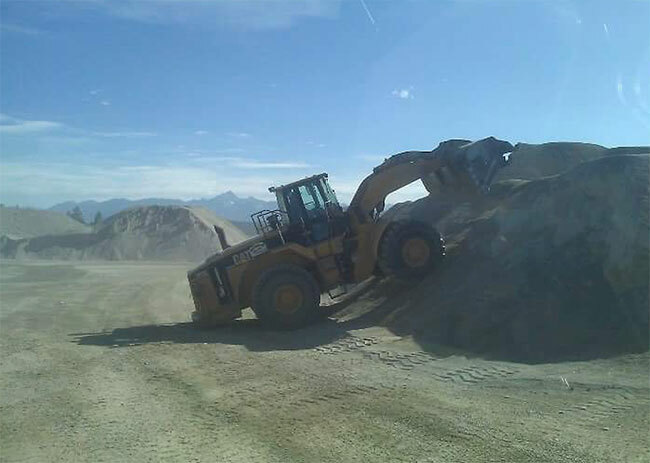 Can I pick up a load of gravel at the gravel pit? Yes, we will load pick up trucks and utility trailers, or you can hand shovel. In May of 2012, Salvador Ready-Mix launched a new aggregate testing station.